I’m not seriously following the Trayvon Martin trial. It’s heart breaking and I do have opinions and interest. I just rarely jump from one intense case in to the next. Plus this one is so divisive, I just value my relationships and don’t want to break up with anyone over it. I did have HLN on in the background this morning as I was doing some chores and a name blasted in to my brain. Blasted from the past I mean. Dr. Vincent Di Maio is going to be the main forensic expert for George Zimmerman in this case evidently. Vincent Di Maio got one of my sister’s killers, Rudi Apelt, convicted. His testimony is probably the one and only reason there was a two hour deliberation in that death penalty trial with a resounding GUILTY verdict in Rudi’s trial. A forensic pathologist for more than 40 years, DiMaio retired as the medical examiner of San Antonio in December 2006. He says that novels and television shows have given Americans a false impression of the state of death investigation in America, which he describes as "mediocre." This is the edited transcript of an interview conducted on June 20, 2010. Dr. Vincent Di Maio must have done something right during his five months on the Texas Forensic Science Commission: Gov. Rick Perry appointed the former Bexar County chief medical examiner as chair of the board last week. Di Maio, who retired in 2006 after 25 years at the helm of the Bexar County morgue, is an expert on gunshot wounds. He also testifies in frequently contentious court cases, including the recent intoxication manslaughter trial of Jenny Ybarra, convicted of killing Erica Marie Smith. I do not see that here..the prosecution is out to lunch. July 8, 2013 Tweets Cont. Lawyers are at the bench. I just read the tweet I posted about the defense expecting to "finish calling witnesses in three days". I'll bet Judge Nelson isn't going to be very happy with that at all! 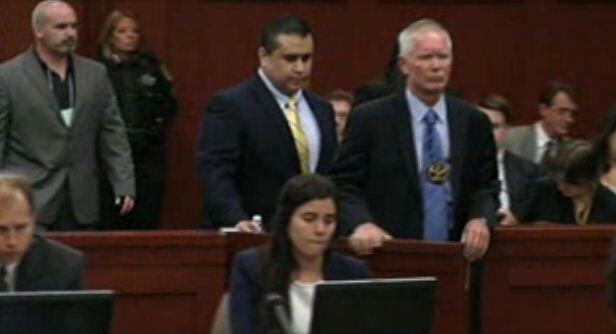 #Zimmerman's defense team: We expect to conclude our case Wednesday. Net-net: The case shud go to the jury this week. #Trayvon. It would save a lot of time to just have the court reporter read some of the testimony from state witnesses. @renestutzman @JeffWeinerOS why isn't jury hearing tox reports, burglary tool and jewelry backpack.are the people getting cheated?? @gulfportedd Some of that could still come in. Defense will try to establish admissibility & relevance during its case.
.@ReneStutzman reports State has filed a motion to block defense's animation of #GeorgeZimmerman's account of #TrayvonMartin's shooting. Jury is back in the courtroom. Jury is walking into the courtroom. The state is asking the judge to have a hearing about a defense witness who made an animation about the fight. No word if that will happen.